Maintain critical face-to-face communication through seamless video conferencing solutions. Add a personal dynamic to client meetings, potential employee interviews or business-critical conversations with the right video conferencing solution. As technology pushes businesses into a more mobile and global landscape, companies require flexible ways to communicate over great distances while maintaining a personal connection. This fundamental change affects the overall businesses environment, prompting a need for innovative solutions to solve today’s unique communication problems. Spur-of-the-moment meetings and face-to-face interaction are a critical component to business operation, and with the right video conferencing solution, employees can meet anytime, anywhere while maintaining personalized lines of communication. Easymeeting is exactly what I was looking for in an audio/visual conferencing system – easy for me to set up; easy for attendees to join meetings; easy to share videos or presentations – and the system is clear and sharp. Jess and the support group are quick to respond to any questions that I have. Whether businesses need to connect an elaborate room-based system, various computers, tablets or smartphones, choosing a solution that knits these disparate elements together in a single low-latency video conferencing experience is essential. Additionally, video conferencing that enables deeper engagement with face-to-face interaction is top of mind for businesses globally. In order to solve all these unique challenges, many companies are turning to outside resources for insight into various video conferecing solutions. By leveraging the expertise of an unbiased third party like Select Communications, companies can utilize decades of vendor insight to inform video conferecing investments. Consider the following benchmark elements of a video conferencing solution before making your final decision. With the right list of requirements to inform purchasing, companies can make smarter video conferencing investments and maximize ROI. Is the application itself lightweight or bandwidth-intensive? Does it integrate an existing audio conferencing bridge for those who prefer abstaining from the video portion of meetings? Can you record or stream conferences to social media or an existing website? Can the software easily traverse different firewalls? Can you silo or partition callers having technical difficulties to avoid derailing a meeting? Will you need to upgrade infrastructure to accommodate any change in bandwidth requirements? Do you need peripheral hardware? Consider the future viability of any hardware–will it require annual upgrades or repairs? If you have any questions regarding a current or future video conferencing project, talk with an expert at Select Communications. With our decades of experience researching, purchasing and installing video conferencing solutions, we can provide an unbiased perspective on a wide range of vendor options, so you can choose the right soIution for your specific requirements. Enterprise-grade video, voice and collaboration experiences to accelerate decision-making and foster innovation. Yealink video conferencing equipment enables users to connect and collaborate more effectively. From mobile-to-mobile exchanges to large auditorium gatherings, Lifesize delivers one solution for businesses to connect people. HuddleCamHD offers cameras with various fields of view and optical zoom options from 3X to 30X. Perhaps the best value we can offer is end-to-end solution design to ensure you get the technology solutions you need fully set-up and running according to your requirements. Polycom delivers a superior experience in every workspace with an easy to use and consistent workflow—all with amazing full HD video, HD content sharing, embedded electronic whiteboard and full integration with personal and mobile devices. These all-in-one centers create consistency within your organization while allowing you to choose the proper size for each specific room. Lifelike color and detail at lower bandwidths so you clearly see critical facial expression and read subtle body language without clogging your network. Group Series drives enterprise-grade video, voice and collaboration experiences, accelerating decision-making and fostering innovation. A video collaboration experiences that brings geographically dispersed teams together. start calls and share content from your own device. Polycom NoiseBlock keeps sounds such as keyboard clicking and paper rustling from interrupting meetings. Rich video and content experiences for small group and personal collaboration. 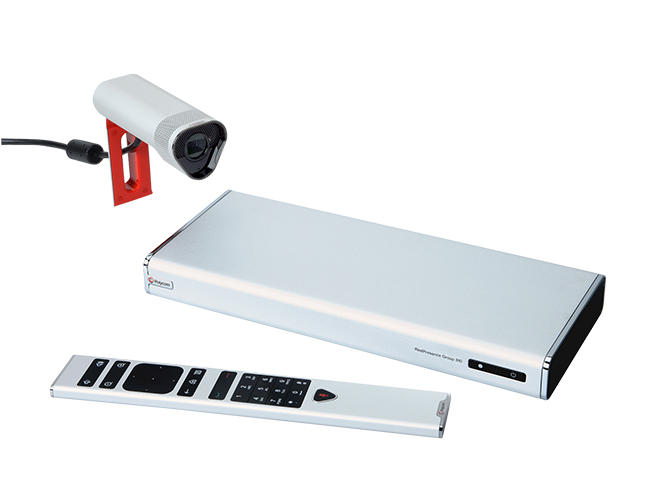 A flexible system that works together with the RealPresence Group 310 or 500, allowing you to deploy the right solution based on the unique needs of each room. Lync 2013 interoperability to extend the benefits of your UC investment to desktops and smaller huddle spaces. Designed for work groups, classrooms and teams that want more engaged collaboration. It serves as a collaboration and content sharing hub. Combining voice quality with the additional capabilities of personal content sharing and business-class videoconferencing, Trio can be flexibly deployed anywhere, from huddle rooms to boardrooms. Enterprise grade video conferencing solution made simple, and affordable for huddle rooms and smaller spaces. Delivers cost-effective collaboration for smaller organizations that are ready to move up from consumer-grade alternatives. With the Cisco Spark Board, you can wirelessly present, white board, and video or audio conference – everything you need for team collaboration, all at the touch of a finger. Microphones create crisp, clear audio. Zoom Meeting is changing the ways collaborate. Whether connecting multiple conference rooms, or adding mobile attendees. Meeting face-to-face is as simple as a single touch. Yealink video conferencing equipment enables users to connect and collaborate more effectively. Designed to make H.323 and SIP video conferencing headache-free with high-quality, ease of use, and being budget-friendly. The Yealink VC110 epitomizes ease, simplicity and affordability for businesses looking to conduct video conferencing in smaller meeting rooms settings. The solution serves as a one-stop-shop for meeting business’ various communication and collaboration needs, boasting high performance. 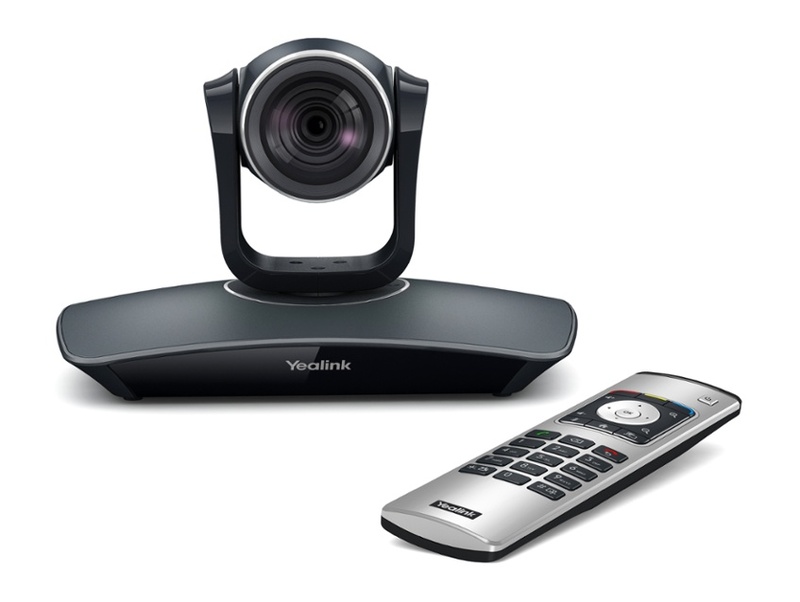 The VC120 is Yealink’s latest innovative 1080P full-HD video conferencing endpoint for small and medium-sized meeting room. It is designed to provide ease-of-use, high-quality. To make life easier still, the VC120 supports an Intelligent Firewall Traversal which allows users to plug and play with no further firewall configuration from box to work in just five-minutes. Vidyo delivers incredible quality and scale at a fraction of the cost of traditional business video conferencing solutions. Vidyo works the way you do. It runs on the devices you’re using now from smart phones to tablets, desktops to video room systems, bringing HD-quality video and content to every participant. Easymeeting is a cloud-based service that allows you to connect live into the same meeting using video conferencing systems, computers and mobile devices. The Easymeeting service is a great way to have face-to-face meetings with business partners, customers and colleagues. Accessible through the cloud, anyone with internet access can join a meeting. 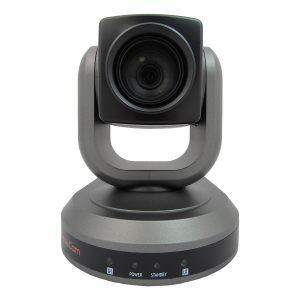 Start leveraging robust yet affordable video conferencing solutions today. I am very pleased with how easy it was to switch my Conference Call Subscription to Select Communications. My account was set up quickly, and we were using the service the next day. We have found that the call quality is even better than that of the service that we had been using before. They have been very attentive to be sure that I continue to be satisfied with the service. Besides ease-of-use and friendly account reps, I am also seeing a significant savings in our conference call costs. I would definitely recommend Select Communications. We are so pleased that we switched to Select Communications. The customer service is exceptional and the cost is so reasonable. We pretty much use the service on a daily basis and have found it to be a positive experience. We will continue doing business with Select Communications as it meets all our needs. We are so glad we found you!! We are always looking for ways to connect our board and committee members for meetings and to use their time wisely and efficiently, especially since they are volunteers! The teleconferencing service has been invaluable to us. Not only is it affordable, we also save travel time and meeting food costs for our staff and volunteers.